Discussing plans for next year with my YNOMY team brought me to ponder what radio-activities I would be going to undertake. I have rarely been in the vicinity of my radio this year and I think next year will be the same. Conditions are such that I can hardly make any interesting contacts with the setup I have at home. At the same time my work commitments limit the /P opportunities. I hope to be able to go out some more to activate some nature reserves or castles than I did this year. Perhaps I will re-use some of the special calls I used in 2017 (P*44FF). 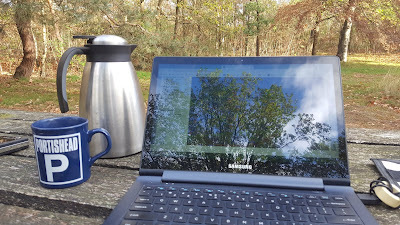 LX and HB0 were so much fun that we have decided to spend another weekend in May together in some relatively remote place activating nature reserves. We have some ideas where to go to but more details will follow once we finalise our plans. The world castle award program turns 10 years in June. The COTA-PA program - the local castle award program for PA - will participate in the festivities. I am currently organising a group of operators to use a number of special callsigns in June for the celebration. The summer holiday always gives me time and opportunity to go out /P. I will be in France this summer and expect to activate some nature reserves there. Not on this list is the PACC - our national contest. I have been participating with my YNOMY team for the last 5 years and we won the last 3 times. Looking ahead at 2019 we found that we lacked motivation to go for a fourth win. We did not make any changes to our field day setup - so there is nothing to test and learn. As it is a field day setup and as we enter the contest to win, it is a considerable effort. Repeating last year is just not enough fun for us to put that much effort in. We might return to the contest in a couple of years if conditions improve - as that will change the contest dynamics and gives us an opportunity to improve on our own highscore (in points). Perhaps the end of the year will give me an opportunity to go /P for a change. At the moment planning the May expedition is the major source of radio fun. When I came back to ham radio in 2010 I was eager to work as many DXCC as I could. I started with a shortened dipole in the attic - very far from ideal - but each and every country was a new one. Even with limited radio time my progress was smooth and I was happy for a while. I upgraded my license in 2011 adding a load of new bands and with that the challenge increased: I would have to collect at least 100 DXCC on each (why?... I don't know, that is how addiction works). My antenna changed into a wire behind the house running from 8m high to 2m high in a corner of the garden. An upgrade from my in-house dipole and an opportunity to add a few more DXCC. In the mean time I had developed a new addiction: activating WWFF nature reserves. Going /P inspired me to develop better antennas. 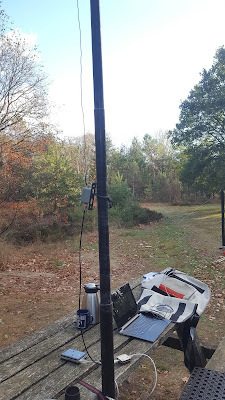 Portable operations have their limitations (especially if you look at it from your multi tower station) but in my case I saw opportunities I did and do not have at my QTH. From a mobile whip I quickly moved to vertical end fed antennas that already were more effective than the wire behind my house. And as time went by, adding more DXCC meant going out /P. I took the opportunity of big contests - with lots of DXCC's active at the same time - to make my /P DX hunting as effective as possible. All the while trying to improve my /P station. In 2012 I had one of my most pleasant chases when I went out with a 4 element beam for 10m (a band still open at the time) during CQ WW SSB . I added 24 atno's and 14 new bands, working a few hours on Saturday evening and a few hours the following morning. I don't think I have ever worked so many new ones in just two time slots. Although the 10m beam was instrumental in the fun that time, it was also the first time I used the folding hexbeam that I just finished building in the week before the contest. This became and still is my favourite /P antenna. It has helped me work DX even now, at the bottom of the solar cycle. With the hexbeam and a small mobile amplifier I added to my /P setup, I went DX fishing during a few other contests the next year. 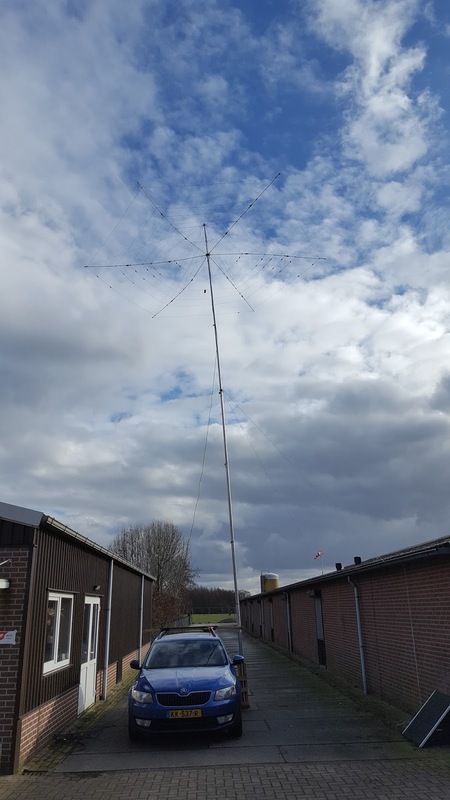 I scored 10 atno's and 22 new band dxcc during WPX in 2013 with the hexbeam, 4 atno's and 27 new band dxcc during EU HF contest in 2013 and 6 atno's and 24 new band dxcc during CQWW SSB 2013. By August 2013 I had logged more than 100 DXCC on three bands: 10, 15 and 20m. 17m was the candidate for the next 100 and I think I reached that somewhere in 2016 (time to play radio had been rather limited in the interim and I had not been out to actively chase DX /P). By 2016 12m was no longer a feasible candidate to reach 100 DXCC as the sun spots had disappeared and I had failed to give that band enough attention in the preceding years. So my focus shifted to the lower bands. In 2016 I went out again during a CQWW SSB. This time focusing on 40m and 80m. I was only able to add 4 new DXCC to 40m, while adding 12 new ones to 80m and 28 new ones to 160m. This left a challenge with still quite a few to go on 40m. The most feasible new ones required different operating hours than I could use from home (with the whole family asleep). So it looked like I needed another contest and /P operation. However I did not find the time. Then came last weekend with yet another CQ WW contest. I had not planned to be particularly active. There was no time to go /P but I did have some free slots to switch on the radio at home. Somehow I had brought my total to 96 DXCC worked on 40m in the meantime. With no expectations at all I started chasing some new ones I could hear. With the simple setup at home I could not reach all of them but with some persistence I was at 99 DXCC on Saturday evening. Of course this was not going to be the end result of the weekend. I continued my chase on Sunday in between other obligations and by the end of the day I was at 102 DXCC with an amazing JT and KL7 in the catch (thanks to their antennas). Next up: 80m.. only 50 DXCC to go. Last Monday I found some time - at last - to go out and do a proper test of the VDA I built many months ago. It is a 20m version and I only built it to test the effectiveness before deciding to build one for 40m - for which I don't have a directional antenna yet. The only way - imo - to assess the performance of an antenna is to compare it to one or more (default) antennas at the same time. Conditions vary strongly by the minute, so you need an A/B type of setup. 1. 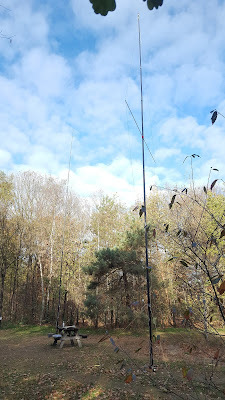 I set up the VDA on my 18m SpiderBeam pole with the feedpoint (at the bottom - as my VDA is end fed) at about 3m high. 2. 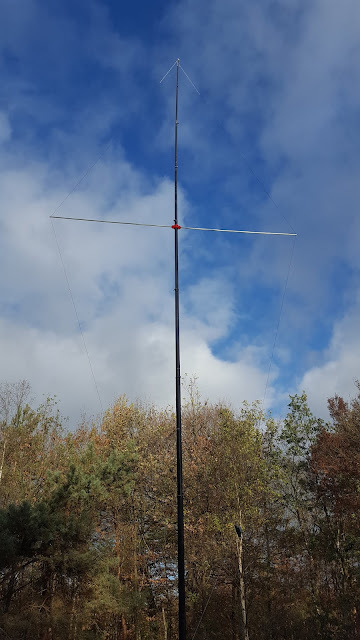 I set up an end fed vertical for 20m with the feedpoint also approx 3m high. 3. I did some live SSB RX tests using the s-meter and one TX test (100w output) with the help of Timo OH7JHA. Looking at all the data there is not an easy path to a final conclusion. So bear with me. Especially the FT8 data seems to present a complex picture - where sometimes the vertical is the only one heard and then the VDA while they both have decent reports with that particular spotting station. My assumption is that the FT8 data is less reliable as the band was crowded at the time. I saw that I was often competing with other stations on the same frequency. For me that could explain why some of the patterns in the data seem to contradict / give inconclusive outcomes. In general I find that with 50w (@FT8) output the simple vertical generates more spots (is received more often). This makes sense as it is omnidirectional and the spotters can be found in all directions. With 0.2W (@WSPR) this is no longer the case as the omnidirectional signal becomes too weak to be picked up in many cases. In fact at one point the conditions had gone down and I received no spots at all with the vertical while still being spotted with the VDA (btw I swapped the beacons to be sure there was no influence there). Looking at both the WSPR and FT8 data I can also see that the VDA almost always "wins" when the station is in the direction the VDA is pointing in (assuming a 60 degrees beam width). Using only the WSPR data the VDA is a clear winner. The vertical only wins once and only marginally while the VDA was pointing in the other direction. There are a number of ties but when the station is in the direction the VDA is pointing in, the VDA wins 100%. The VDA makes it across to PY (9000km), while the vertical only reaches EA8 (3000km). The VDA is the only antenna that reaches VK (multiple spots from VK2 and one from VK8 up to -13). When pointed towards JA the VDA creates a lot more spots than the vertical (from more spotters) but the overall SNR is only about 1dB better on average. When pointed towards W the VDA is comparable to the vertical with only about 0.5dB better reports on average. When pointed toward 4X the VDA clearly wins (5dB, 2 spotters) while it mostly loses when pointing the other way (as you would expect with a directional antenna). In EU the VDA mostly wins when directed towards the spotter with the exception of EA (several spotters - maybe there was some obstacle in that direction?). However the VDA also loses sometimes or wins when it is pointing in another direction - which does not make sense if it is directional. It seems that in 1 skip distance the directivity is not as noticeable or other factors play a more important role (FT8 qrm, type of antenna used by the spotter, etc.). The live data also gave some different outcomes. 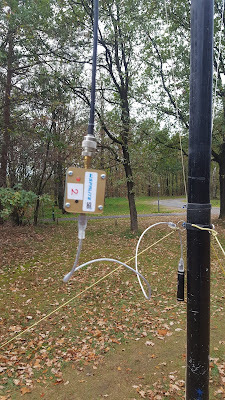 Testing with Timo - pointing the VDA to OH - gave no conclusive advantage (Timo reported an s9 on both antennas) while turning the VDA away only decreased the signal by 1 to 2 S-points. Listening around the band and switching between the two antennas increased my understanding of the difference in practice. When the signal was loud the difference was hard to notice. However, when the other station was DX and weaker (FH, W) the VDA was up to 2 S-points stronger. I have made a short video of W1ZY/M station working with a mobile antenna, where - even though there is QSB - you can see the difference in RX quite well. Getting more hard facts - so as to be able to make any claims about gain figures - would require setting up both antennas for a couple of days with the two beacons. Sadly I do not have the space to do that. The VDA is not a miracle antenna. The theory (as I discussed here) shows that it should have around 3dB gain over the vertical I used as reference. Practice shows it has gain over the vertical that is noticeable (relevant) on multi-hop DX (eg with VK) and weaker signals but on shorter distances the effect is less clear. The data also shows that the VDA has directivity but I have not been able to assess how much that is. All in all this to me is not enough to warrant a 40m version of this antenna. I will be taking this 20m version along on my future /P adventures as it does not take up that much extra space. If I learn more, I will share it. If you have other experiences with this antenna or comments on the way I constructed or tested this one, let me know. I am always eager to learn more. Tnx to Timo for his help and the many spotters (that were unaware of their support to this test). A long time ago, when I decided to get my ham radio license, it was still mandatory to acquire CW skills before you could get an HF license. At the time I did not picture myself learning CW off of cassette tapes. In my early twenties I had much better things to do. So I went for a novice license that allowed me access to a part of the 2m band in FM with a whooping 10 watts. This was fun for a couple of months and then the radio went in a box in a closet for a long time. In 2010 I returned to the hobby when I found out I could go on HF with my old license and that for a full license CW was no longer mandatory. I upgraded to full half a year later. So all these years CW was never more than an obstacle to me. I have made a few CW contacts using my computer but then CW becomes just another digital mode. A bit boring. As I am quite capable of using my voice - and have been for many years and hopefully for many years to come - I perceived this whole CW-thing as a needlessly difficult and indirect way of communication. Also I found that CW carries with it a certain amount of snobbery (only by some, but still noticeable): you have the nobles that use CW to communicate and the plebs that uses phone. Hardly inviting. Things changed this year. We have a small radio group (M, YY and myself) that amongst other things participates in the PACC contest. We have done so for the last 5 years, winning the last 3. 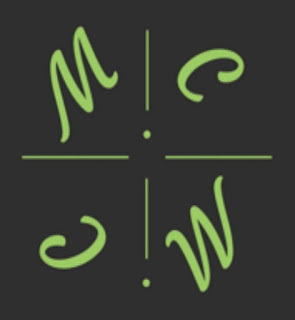 CW is crucial in this contest and only one of us - M - masters CW. This year M could only join us a couple of hours into the contest. That would make it impossible to achieve a competing score. Luckily we found a local OM that was able to jump in on last notice but we clearly saw our weakness as a team. Until now it had only been a practical nuisance with M taking a 24h shift with only short periods to doze off, while YY and myself could work in several shifts. This is when YY and myself decided we had to learn CW. At least to the level that we could take CW shifts during the slow early morning hours. Reading up on all the tips regarding learning CW I started using the Koch method via a website, but found it waaayyy too boring. There was no way that I could slow myself down to that level with normal life happening. YY in the meantime informed me he was using morserunner and that it was nice to learn to copy calls better and quicker. Rather frustrating as I had just made it to Koch lesson 2 and still confused the K and R.
Some time passed until I came across a nice Android app called "Mors.". It shows you an English word and then gives you a certain time to send all the letters by tapping the screen (dah - dit). The time you get to complete a word decreases, making it harder and harder. It is up to you to beat your high score. This gamification works for me. I quickly learned all the letters. However... this way you learn the letters as dashes and dots and in a rather slow pace. It might give you some foundation but I was still unable to copy anything sent at a regular speed. So back to boring Koch.. and big time procrastination. Four months had passed with little progress apart from the ability to translate letters in morse code v.v. on paper. Then came the summer holiday. The summer was extraordinarily hot and HF conditions were poor, so during my stay in OZ I decided to sacrifice some of my /P radio plans to just relax in the shadow and force myself to complete at least a number of Koch levels. M and YY advised me to start with a larger number of letters in stead of learning them two at the time. It helped making the learning less boring. Also the fact that there was nothing else going on then the kids enjoying the sea, helped to keep me focused. I used (and still use) two Android apps to help me learn - see below for links: CW Trainer (using the Koch method) to send a random set of letters at a 24wpm with Farnsworth timing (slowing down the sequence but not the letter itself) and Morse Camp to send English words of a given length. By the end of the holiday I was able to copy all letters at 24wpm, making only a few mistakes along the way. Copying words is still a challenge as I really need the Farnsworth delay to mentally process what I heard. So now the challenge is to keep on repeating what I learned, add numbers as new signs still to learn and start bringing down the Farnsworth delay (speeding up the sequence). All that.. while normal life has returned. So far I have not touched any of the morse code apps yet but given the investment I have made so far, I am confident that by the time the PACC contest starts next year, I will be able to take my CW shifts. And perhaps I will be able to make real life CW QSOs before that. Mors. allows you to practice sending morse code. The nice thing is that it works as a game where you have to improve on your last high score. The down side is that it does not actually learn you to copy (rx) CW. 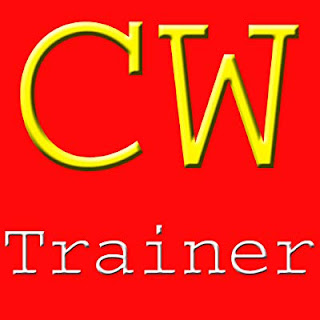 CW Trainer is a nice trainer that allows you to use various training modes, including Koch. I liked the interface and versatility of the app so I decided to buy this one. Morse Camp is a website and Android app (for which I cannot find the link anymore) that sends English words of a predefined length. So last Sunday I went out /P while on holiday in OZ. I started out in OZFF-0100 where I found that the best option I had was to climb a hill covered in trees. So I threw a fishing line into a tree and pulled my wire antennas up that way. I started on an instable 20m with a lot of short skip. QSB was strong but a steady stream of chasers kept me on this band for more than an hour. I then set up a sloping wire for 40m. The set-up was not ideal and the band in a poor shape. In total I logged 107 different OMs from 22 DXCCs with most activity from I, DL, G, PA and SP. I quickly dismantled my station and left for OZFF-0098 to meet up with Jakob OZ7AEI and Finn OZ3FI of the OZFF team. I know Jakob already from the start of the WWFF program but so far we had only had contact via e-mail and SSB. I arrived at the designated location to find Jakob and Finn already there. We had a quick chat but decided we could not let the chasers wait for too long. We spread out a bit to make the station to station QRM bearable. Finn went for 17m and 30m CW and Jakob and I used 20m and 40m. Finn had issues with his battery, which meant he had to stop operations early. We took a break and had some time for coffee and chat. Finn then left us and Jakob and I continued on 20m and 40m. In about 1,5 hours radio time (we spent about the same time chatting) I logged 105 different chasers from 28 DXCC evenly spread over 20m and 40m. Jakob also logged 100+ QSOs on the same bands. On 40m I used a delta loop and on 20m an end fed vertical on an 18m pole. Most chasers I logged were OMs from DL, I, SP and PA. It was great fun meeting fellow WWFF enthusiasts in person and of course all the usual suspects over the radio. Usually I spend my summer holidays in the south of Europe. This year however we opted for a trip north to OZ for a stay of three weeks on two campites. So far - a couple of days on our first campsite - we have been blessed with Mediterranean weather and a view over the sea (Kattegat). As always I managed to squeeze some radio gear, wires and an antenna pole between all the camping stuff (amazing how many items it takes to transform a family of four into happy campers). I have decided not to set up my station on the camping itself for various reasons. For one I am not a fan of digital modes (and living in a tent, phone is not an option) and the OZ campsites are far more organised than I am used to with neatly arranged places so that it would be impossible to keep the station low profile, especially as there are no trees around - only hedges. Instead I will go out portable for a good number of hours at least once from each campsite. I am aiming to activate two OZFF nature reserves each time - so at least four in total. 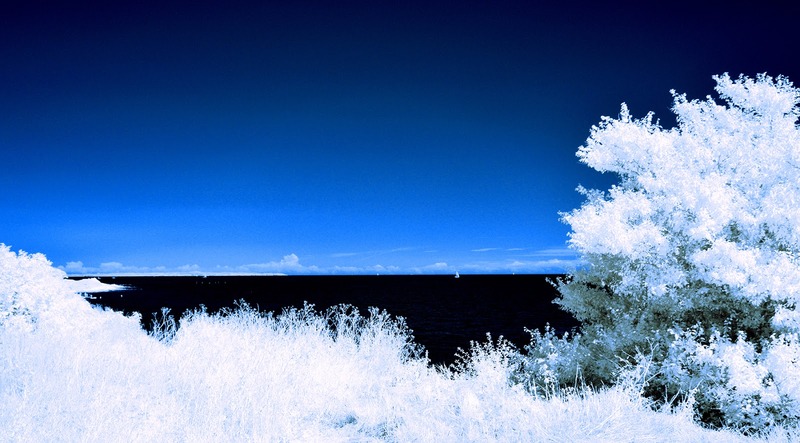 One will be on the shore of a body of salt water. I am curious if that will help me get my signal out. Discussing my ideas with the OZFF coordinator and longtime fellow WWFF-er Jakob OZ7AEI, it turned out his holiday plans meant we would be relatively close together on two occasions. So we aimed for a radio-active meet-up. Getting more specific we have planned a joint operation on Sunday evening July 22 from OZFF-0098. It looks like another member of the OZFF team - Finn OZ3FI - will join as well. 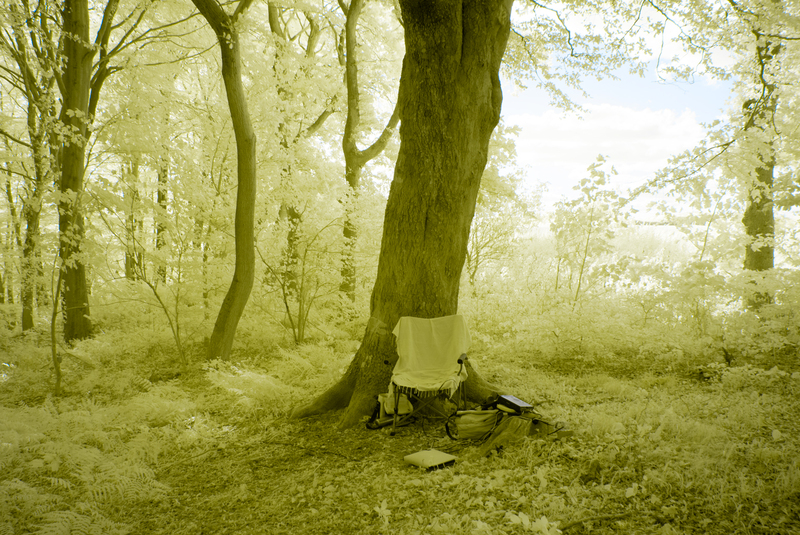 I will start off activating a nearby nature reserve first (OZFF-0100) in the afternoon. Looking forward to meeting these fellow WWFF enthusiasts and adding OZ to my activity list. Today the results of the PACC contest came in. Amazingly my fellow team members of YNOMY and me managed to score a hat-trick: we secured the first place for the third year in a row using the call PG55G this time. The recipe has been the same these three years: using an empty campground we set up wire antennas on Friday for 40, 80 and 160, adding a portable hexbeam on Saturday morning and then have radio fun for 24h using a well prepared plan constantly updated by live experiences of the band conditions. The two phone operators get a few hours of sleep while our poor cw operator only gets a few opportunities to nap when the phone operators are going. We are always looking for improvements but this year the only upgrade was the coax we used (as we ran into problems with the coax we used last year). It gets harder and harder to squeeze out more while maintaining our field day concept. Last year May I went to LX with PD7YY and PG8M for a weekend to activate 7 different LXFF nature reserves. With the help of the LXFF coordinator we managed to get hold of a nice special call LX44FF. We were blessed with perfect weather and some Es conditions on 20m. We had a great time that weekend and managed to log far more contacts than we anticipated. We were thinking along the lines of the PACC contest (24h) - 1700 QSO or so - but we ended up with over 2100 QSOs. With this experience we of course discussed going on tour again this year. Moving up the DXCC wanted list we considered Bouvet for a moment and had a good look at Scarborough Reef but settled for Liechtenstein. We will be staying up in the mountains in a nice looking hotel - an upgrade from the caravan we occupied last year - and we will have a bit more time as we are traveling on Friday and Monday. The weather is a big unknown as are the conditions. In general the conditions on HF are poor but that was the case last year as well. We can only hope we will have some Es conditions (bringing a 2m and 6m antenna just in case). Then there is the influence of the mountains that will be a new one for us. Some of the locations we will be active from are on a mountain side. That will undoubtedly influence the signals in some directions. Preparations are ongoing. Several ham radio news sites / letters have been informed and we are checking and completing our gear. 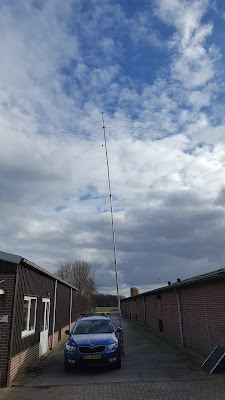 We will be taking three radios (one specifically for VHF) with batteries for one day and a whole bunch of different antennas including end fed wires, dipoles, a hexbeam and a VHF yagi with the necessary masts. We will have one mobile amplifier for the HF phone station with its own fat battery.